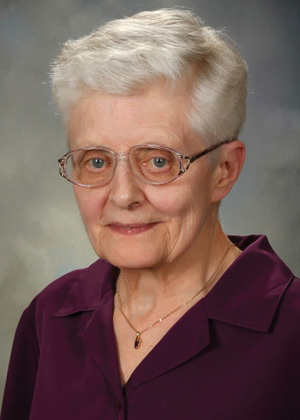 Sister Ann Daniel O’Neill, BVM, 89, died Saturday, Sept. 29, 2018, at Marian Hall, Dubuque, Iowa. Visitation, Sharing of Memories and Mass of Christian Burial were on Wednesday, October 3, 2018, in the Marian Hall Chapel. Burial is in the Mount Carmel Cemetery. Sister taught elementary school in Iowa at St. Raphael and St. Joseph Academy in Dubuque, Holy Name in Marcus, and Emmetsburg Catholic in Emmetsburg; in Illinois at St. Pius in Chicago and St. Odilo in Berwyn; Holy Name in Wilmot, Wis.; and Perpetual Help in Rapid City S.D. She served the BVM congregation as associate administrator at Mount Carmel, Dubuque, and was a school volunteer in Waterloo, Iowa. She was born on Aug. 24, 1929, in Chicago to Daniel Joseph and Mary Ann Smith O’Neill. She entered the congregation Sept. 8, 1947, from Our Lady of Angels, Chicago. She professed first vows on March 19, 1950, and final vows on Aug. 15, 1955. She was preceded in death by her parents, twin brother Peter, and brother Daniel. She is survived by her brothers John (Parker, Colo.) and Phillip (Huntley, Ill.), nieces, nephews, and the Sisters of Charity, BVM, with whom she shared life for 71 years.